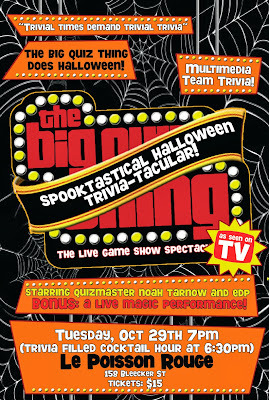 The Big Quiz Thing: Coming soon: The Big Quiz Thing's Spooktastical Halloween Trivia-tacular! 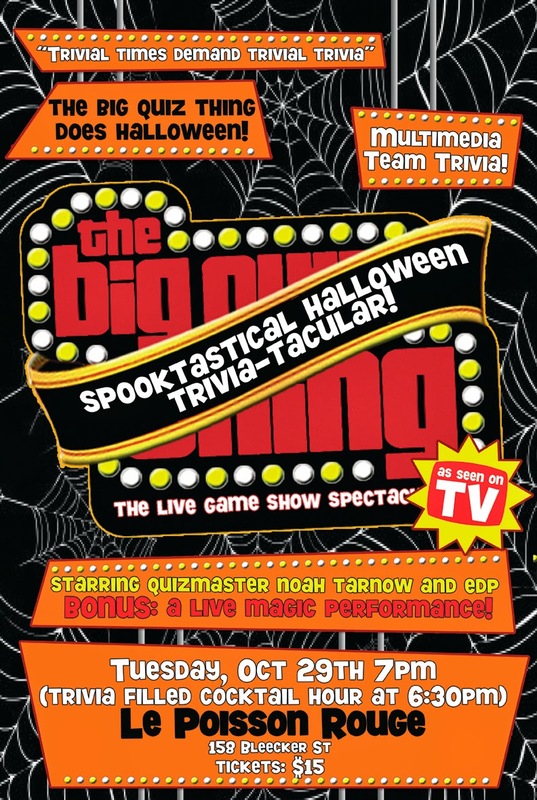 Coming soon: The Big Quiz Thing's Spooktastical Halloween Trivia-tacular! October! Right around the corner! Leaves on the ground, piping-hot mugs of apple cider, and—of course—plastic crap made in Taiwan crowding the aisles of your local Rite Aid! Yes, Halloween is nearly upon us, and to celebrate, BQT NYC is whipping out its first ever Spooktastical Halloween Trivia-tacular! 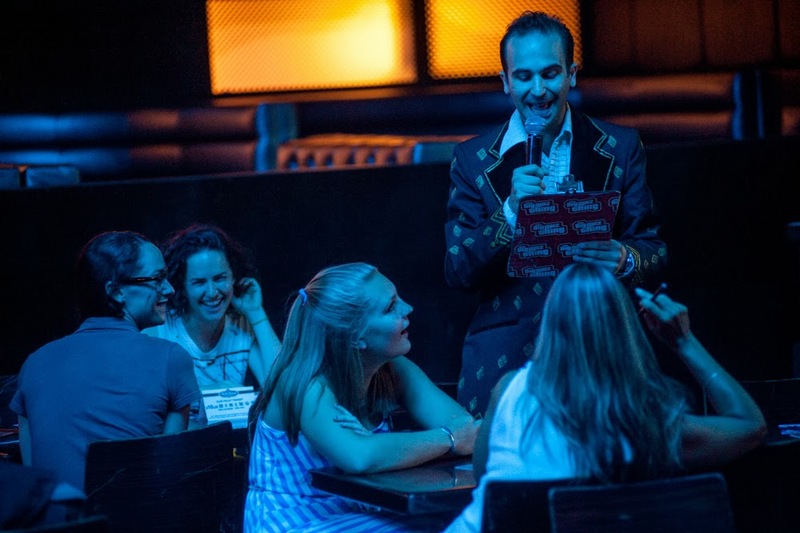 We're returning to one of our all-time favorite New York venues, Le Poisson Rouge, on Tuesday, October 29, for this supremely fun special event, celebrating everything you love about the holiday everyone loves: costumes, candy, scary movies, monsters, etc., etc. I'm already busy working on a nifty variation of our marquee video puzzle, "The Bipolar Movie Challenge," focusing on what I like to call "truly horrific films" (oh, you'll find out). 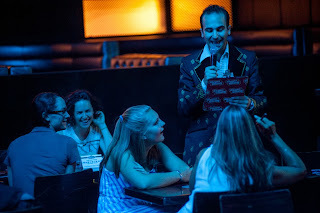 Plus, four more rounds of seasonally apropos multimedia trivia; killer prizes from sponsors like Pogo Events, Milk & Cookies Bakery, Brooklyn Brewery, Le Poisson Rouge itself, and more to come; a special live magic performance from The Great Dubini (seen at our Tenth Anniversary Marathon); and the return of the BQT cocktail hour (starting at 6:30pm), as Quizmaster Noah (um, I) personally thrills you with bonus trivia (and prizes). It all happens Tuesday, October 29: Tickets are on sale right here right now, full details are here. And make sure you're following the BQT on Twitter: In the days/weeks leading up to the show, we'll be presenting bonus Halloween factoids on the feed for your celebratory edification. 'Cause that's how it works. Boo! I've been loving the show! 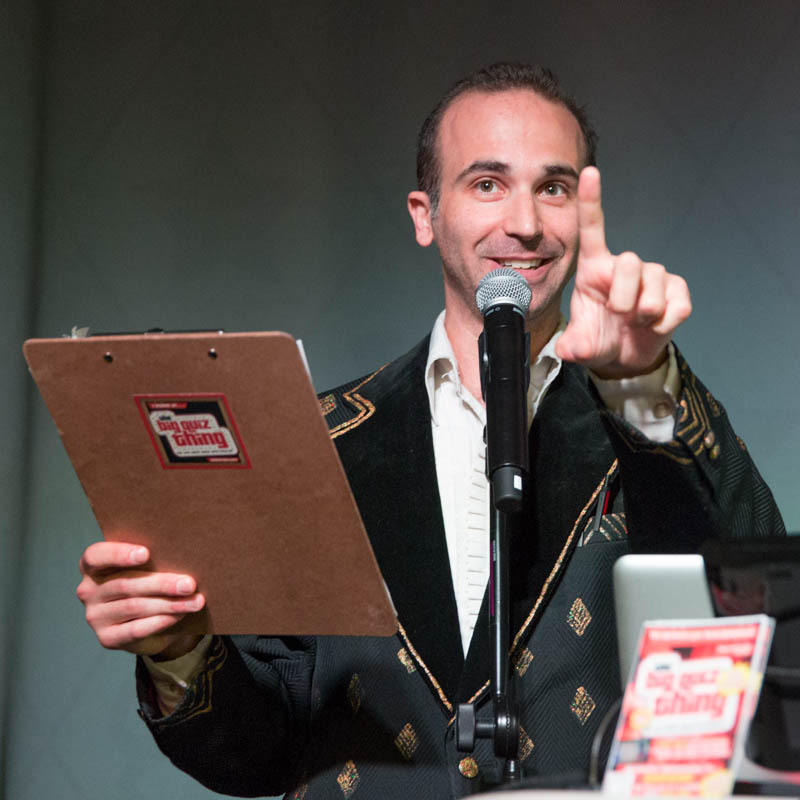 I remember when I used to host bar trivia in NYC and the BQT was just a twinkle in your eye. Keep up the good work.